When it comes to septic tanks and systems, it’s pretty much never a DIY situation. A malfunctioning septic system can contaminate Waukesha drinking water supplies and cause flooding, as well as create sewage backup and biohazardous situations. If you need a septic system installed, pumped or repaired, hiring a certified Waukesha, WI septic professional is a no-brainer. 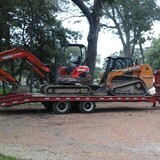 Scott Ward Underground Contractors, Inc. 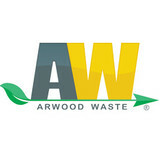 Serving the North Shore Since 1983, we provide quality services and work with Homeowners & Builders & Municipalities to develop cost effective solutions to all your sewer-water-storm sewer installations or repairs. We also televise, rod and power jet existing sewer and drain tile lines. Licensed, bonded and insured. References upon request. 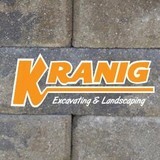 Kranig Excavating and Landscaping has been a family owned and operated business for over 40 years. Now under the operation of the second and third generation of the family, we continue to grow in order to better serve the greater Fond du Lac area and beyond. Noted for our hard work, dedication, experience and knowledge, our team strives to provide the very best excavating and landscaping services for homeowners, business owners and building/construction contractors.